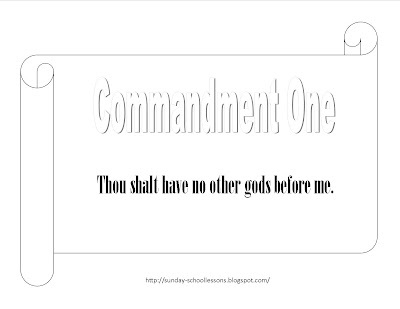 The 10 Commandments Sunday school lesson is one of the most searched for lessons on our site. It's because of this that we've decided to add an extra Sunday school activity to go along with it - a free word search puzzle! 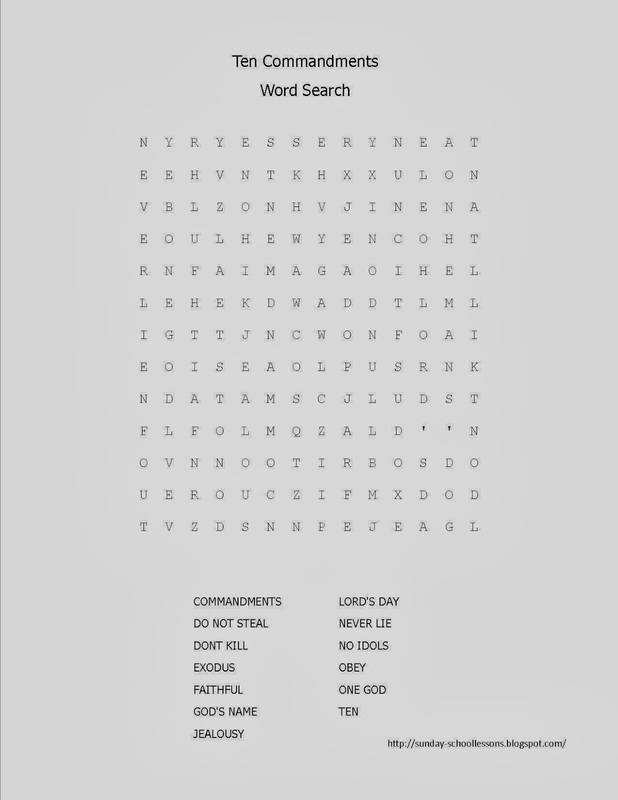 The word search puzzle below can be printed off and used in your class to supplement the Sunday school lesson or you can use it as a review of the Ten Commandments before class starts. In our Sunday school class, some kids come ten minutes early while some kids are five minutes late. This leaves time for the kids to either run around and get hyped up or to learn about God. You only have your class a very short time each week. Use it to teach them as much about God as possible! Here is a 10 Commandments Chart for your wall or door. It's great to have in your room so the kids can see it at all times. Be sure to go over each commandment from time to time so the kids don't forget them. For a quick Sunday school lesson, try using this Sunday school game. This is especially great if you are short on time or need to add a little extra something to your lesson. You'll have to prepare in advance for this one, but don't worry. It only takes a few minutes. We like to call this game Holy Name Scramble. Before class, cut out 18 small squares. We used 3 x 2 inch squares for ages 4 to 7, but for older kids you could make the squares a bit smaller or for smaller kids make the squares a bit larger. The size is totally up to you. 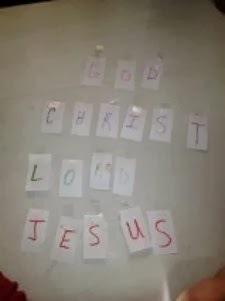 On the squares, you'll need to write the words "God", "Jesus", "Christ", and "Lord". Use one letter for each card. Each word will need to have it's own color (see picture below). We used purple, blue, green, and red. The picture below isn't very good. I took it with my phone, but you get the idea. Next, we hid the letters along the walls and hallways using tape. We lined the kids up against one wall. On the count of three, the kids took off running to find the letters. Tip: Since we have small children, we told the kids to only find 2 letters each. This allowed all of the kids to find letters without feeling left out. Once everyone found two letters, we let them go search again. When the kids found the letters, they raced back to the table to unscramble the words. Since each word was one color, it was easier for them to figure out each one. 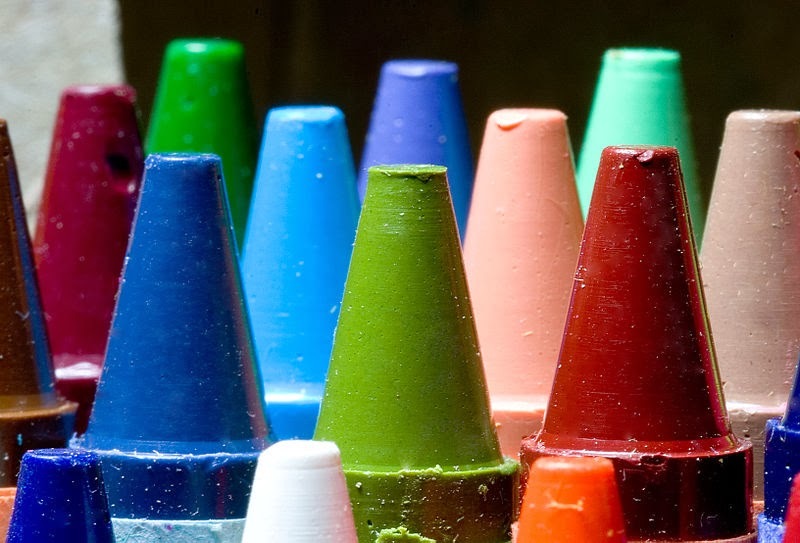 Tip: For older kids, use only one color and let them figure out what each word is. This will take longer and often they will find they have missed a letter and will have to go searching for it. The object for this game is to teach kids about the holy names of our Lord and Savior and how precious these names are. Talk to your Sunday school class about how these names aren't meant to be used when we are angry or thrown around in everyday language for no reason at all. 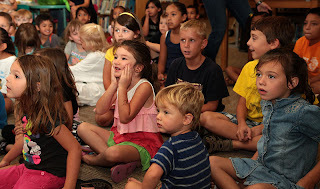 Ask the kids, "Have you ever heard anyone say, Oh, my and then add God's name to it?" Then ask, "Did you know that was a sin?" Refer to the Commandment number 3 and explain how keeping God's name holy is one of the 10 Commandments we are to follow. If we use the Lord's name in vain, how can we be witnesses to others? As Christians, we need to set an example and not act or talk like the world. To finish off this lesson, print out one of these 10 Commandment coloring page for the kids to color. 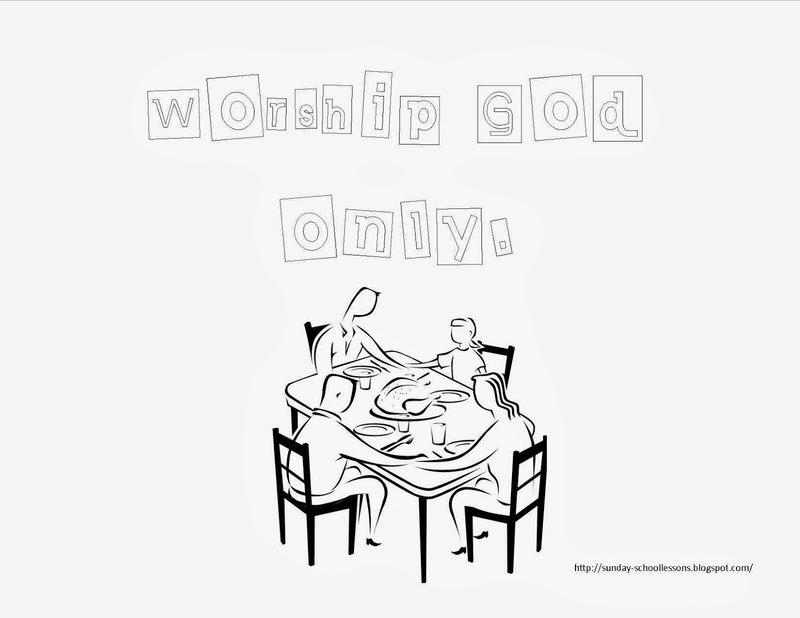 Print these 10 Commandments coloring pages to use for your next Sunday school lessons. You can also color them yourself and hang them on the wall to go over each week at the beginning of class. The 10 Commandments are very important for your kids to learn. If they weren't God wouldn't have put them in the bible in the first place. Use some of the ideas on this site to teach all of the commandments or come up with some of your own. Make learning the bible fun and have the kids invite some of their friends next week! 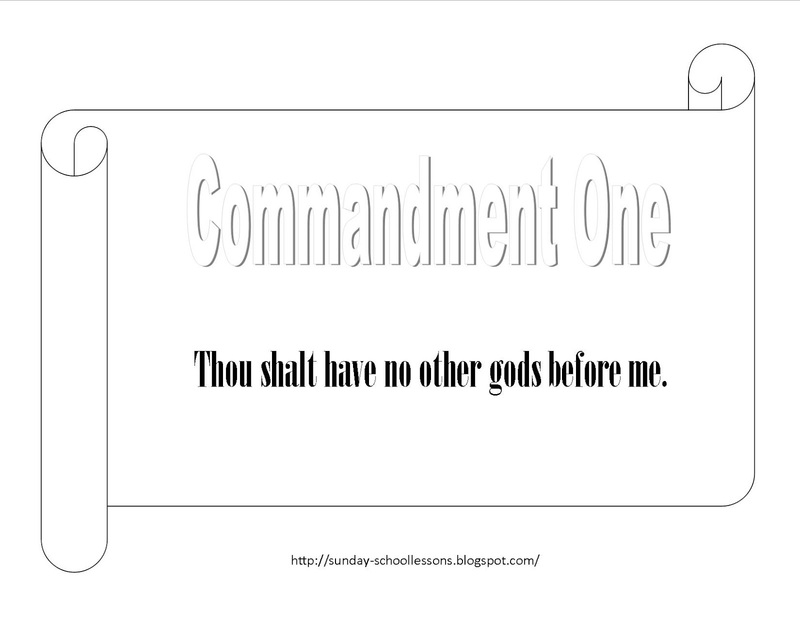 Get all of the 10 Commandments coloring pages. Get the 10 Commandments Game. 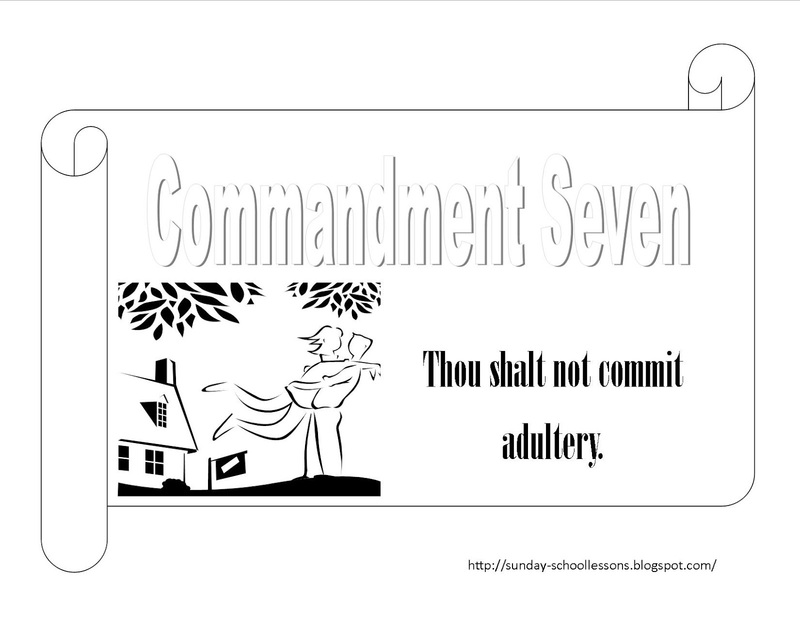 Get the 10 Commandments Sunday School Lesson. Click the image to see it larger and to print. Need more Sunday School Lessons? Take a look inside our Abraham Children's Bible Study book. It can be used daily for home or weekly for your Sunday school class. 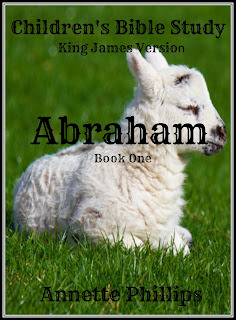 This book covers all of Abraham's life just as it is in the bible. King James Version. 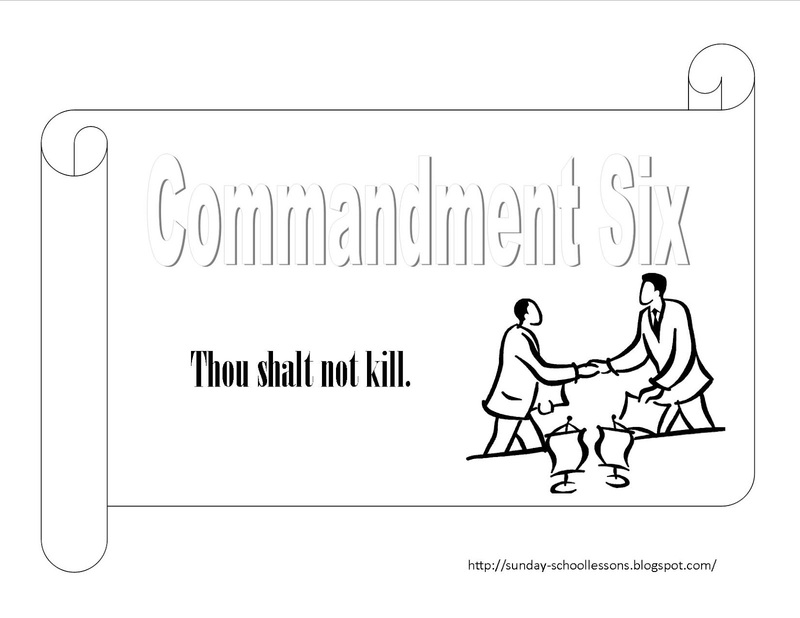 Whether you are having a whole Sunday School lesson on the 10 Commandment or not, you can still use this game as a reminder of which commandment is which and what they mean. Kids love to learn as they play. 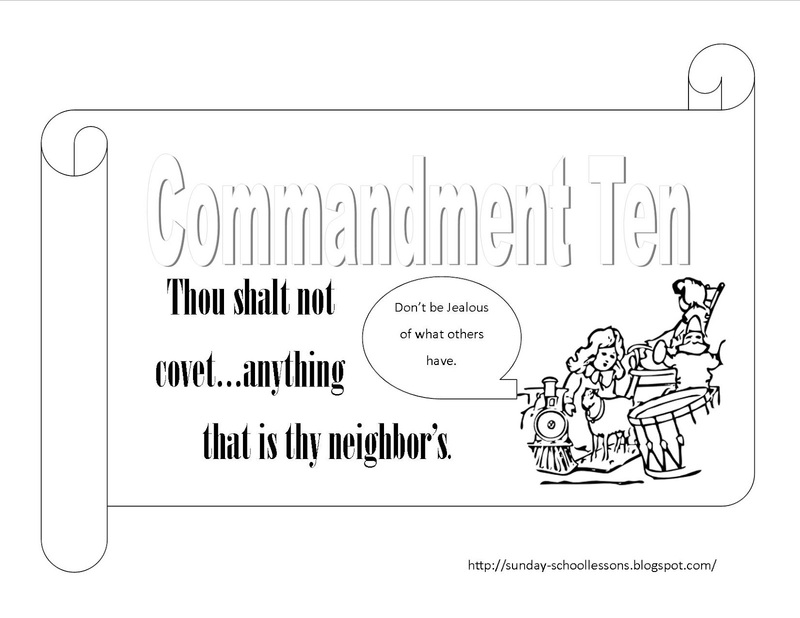 You can use your own 10 Commandment pages or print out FREE pages here - 10 Commandment coloring pages. 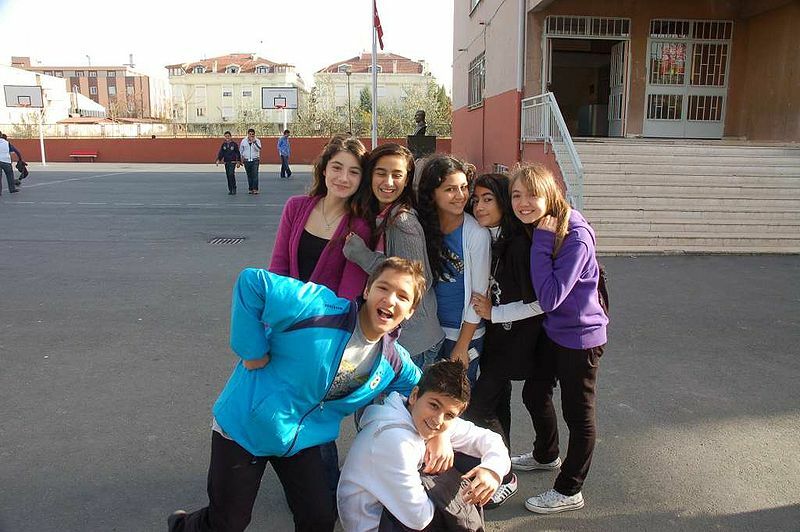 We are using the picture below as an example for this game. You will need all 10 Commandments. 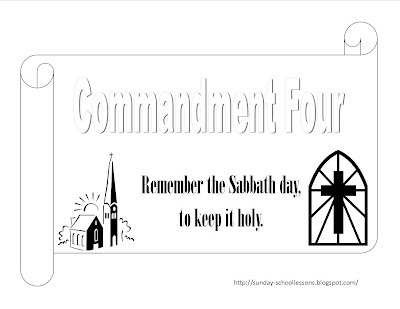 Print each commandment on a separate sheet of paper. Cut the page in half so that the words 'Commandment Three' is on one half of the sheet and the actual commandment is on the bottom as shown below. Split the kids up into groups - at least two, but you can have more groups, if needed (see note below). 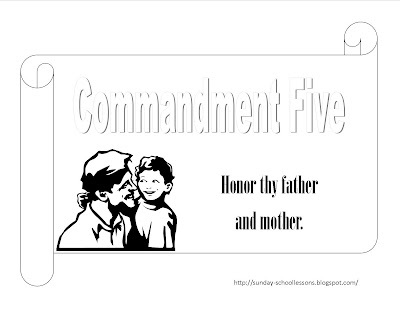 Give one group 5 commandments from the bottom half of the page and the other group the other 5 commandments. Be sure they are mixed up. Lay the top half of the page that says 'Commandment Three' (and so on) on a table or the floor. Let the kids have one or two minutes to look over the commandments you have given them, then say 'go'. 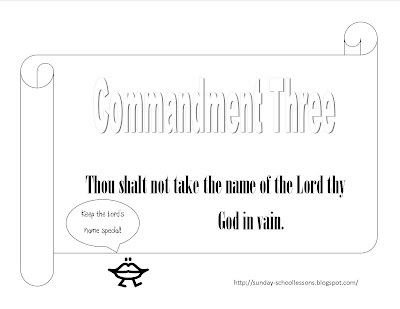 The kids must scramble while working together to match the correct commandment with the correct number commandment. When they think they have them matched correctly, they can race back to a certain point you designate or have a small bell they can ring to signify they have won. Let the other group continue working in case the first group doesn't have the commandments matched up correctly because they can still win. When one group has matched them correctly, mix up the commandments a second time and play again. 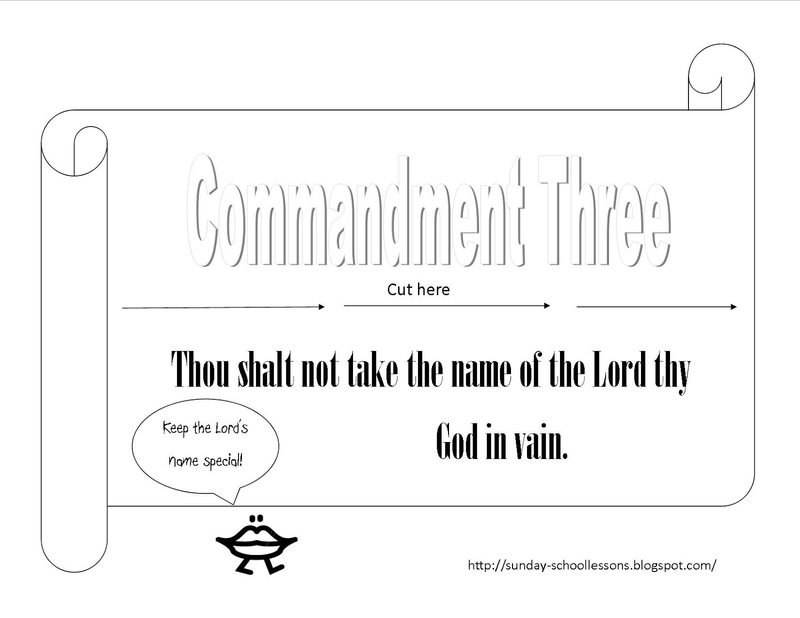 ** Note: If you have a large group, print several copies of each commandment to allow for as many groups as you need. 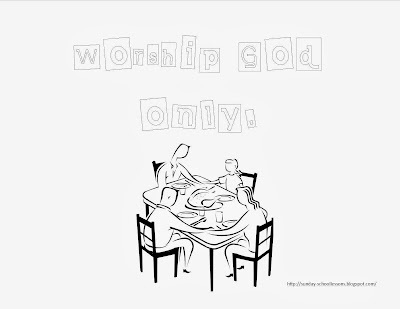 You can also play the game with single players where one person must match up all 10 commandments themselves. The 10 Commandments are extremely important to teach young children. For some reason, many Sunday school teachers never teach their class the 10 Commandments. Why? Well, to be perfectly honest, I don't know. We start teaching our Sunday school class the 10 Commandments when they graduate into the primary class which includes ages 4 to 6. The commandments are hanging on the wall and are gone over at least every other week, but most of the time every single week. As adults, we tend to get tired of hearing the same things over and over, but kids learn by repetition. Try it for yourself. Go over the 10 Commandments three weeks in a row. I bet the kids will already know some of them and can repeat them to you. After 4 or 5 weeks, you'll probably just have to give the first two words of the commandment and the kids will be able to finish each one. 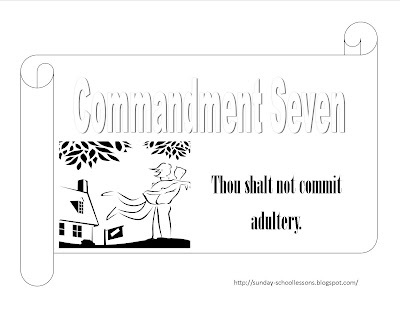 Below are the coloring pages for commandments seven and eight. 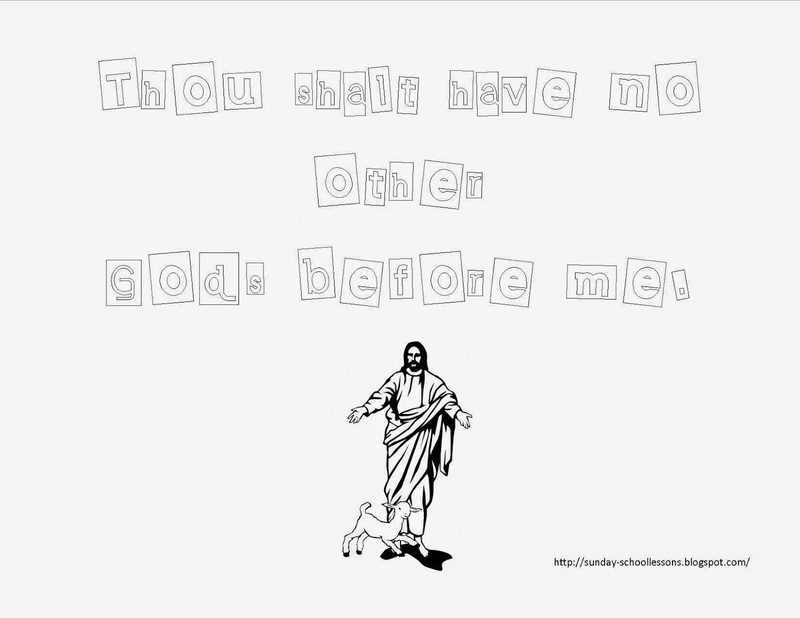 Get the other 10 commandments coloring pages for your class. 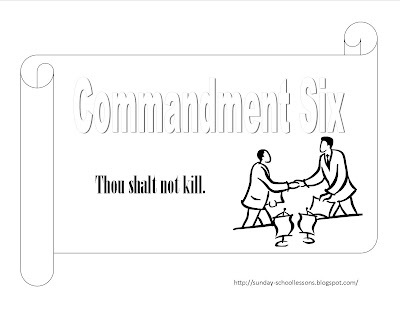 While Commandment number six of the 10 Commandments used to not be one that was broken often, in today's world, tempers fly and anger gets hold of many people along with drugs and alcohol causing 'Thou shalt not kill' to become a commandment that needs discussion. School shooting, drive by shootings, and other random shootings are becoming all too common. We need to take the time we have with our little Sunday School group and teach them that no matter how angry or upset we get, God is in control and we need only to pray. We are to give our troubles to him and he will take care of them. 7 Casting all your cares upon him; for he careth for you. 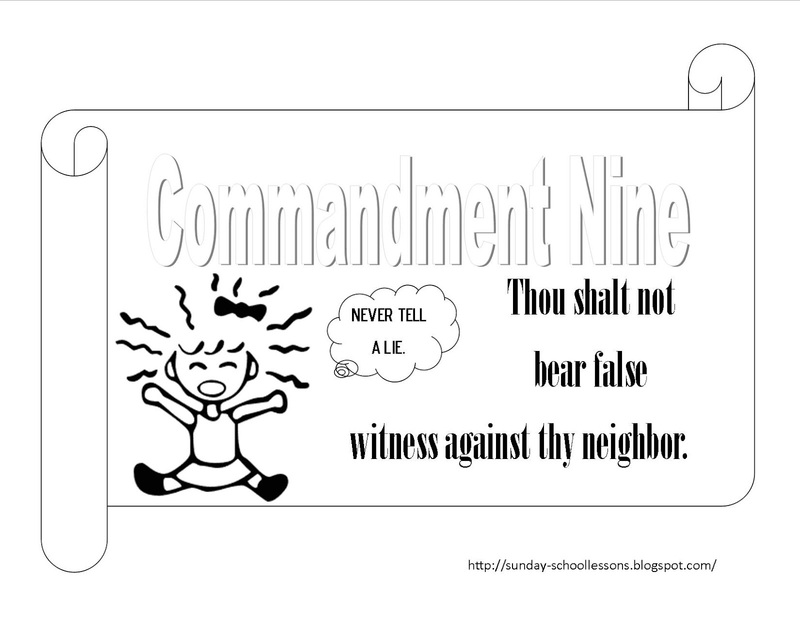 Find more 10 Commandments coloring pages and lessons! When possible, shake hands and forgive those who have done something wrong to you or hurt you. God will bless you for not getting upset. He also promises us that he will take care of those who do us wrong. Let God take control. 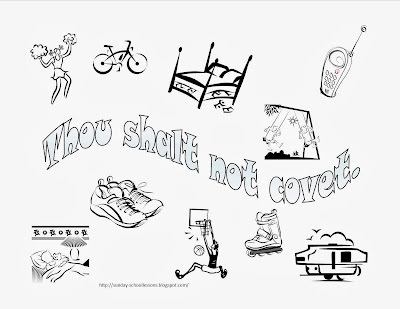 Here is Commandment Five from our 10 Commandment coloring pages series. Feel free to copy and distribute this page to your Sunday School class or use it for your next Sunday School game. Honoring your mother and father is a tough one for most kids. In today's world, it is easier to talk back and be defiant than it is to just do what you're told. Why? 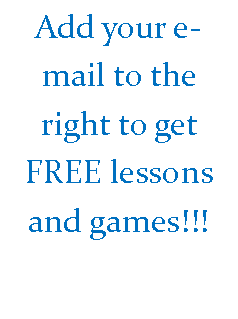 Before you continue - sign up on the right to get FREE Sunday school material! Why Is This Commandment So Hard to Obey? Many people blame it on the times we live in. The world is bad, but we as teachers and parents need to teach our kids what's right and what's not. Believe me, even if the kids know what's right and what's not, they still seem to rather do what they want than what their parents tell them to do or any adult for that matter. I've worked with kids for a long time and I've had to get after a few that were not my own. I have been shocked many times when a child looks me right in the eye, then goes right ahead and does what I've just told them not too. 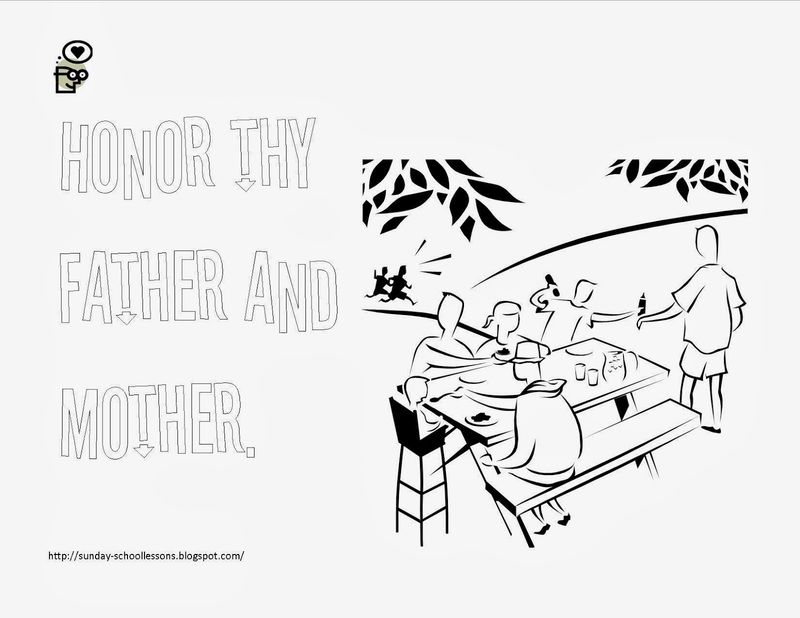 Use the 10 Commandment coloring page below to help you teach your class to honor (not just obey) their father and mother. May God bless you as you teach God's word. 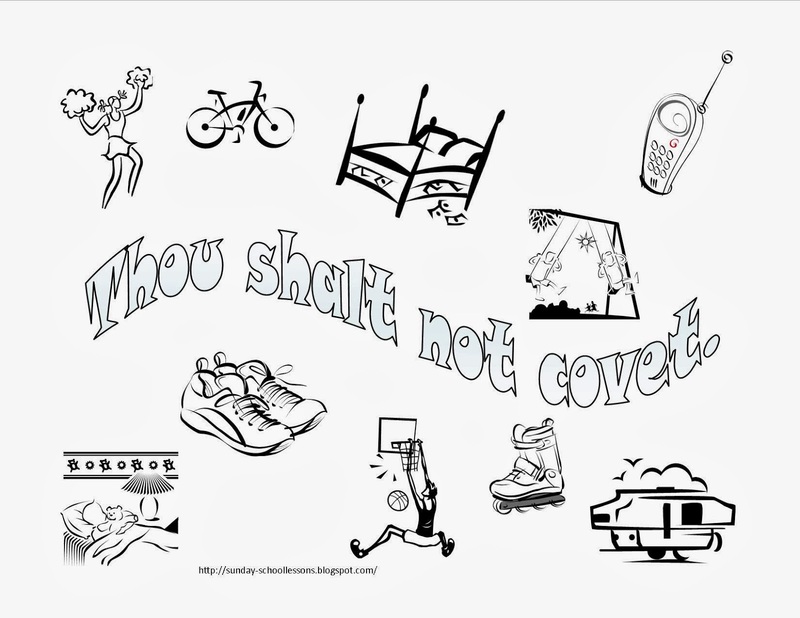 Get the other 10 Commandment Coloring Pages! Remind the kids that honoring is more than just obeying. It is obeying with a kind, loving heart that doesn't grouch about it on the inside or out. 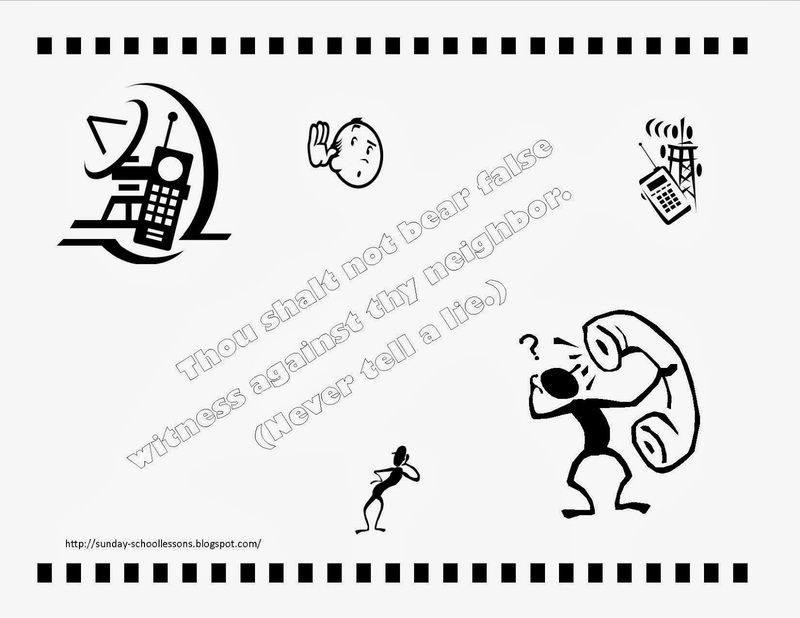 Here is the 10 Commandments coloring page for commandment number four. Commandment number four is a commandment that often gets broken. In today's world, businesses expect employees to work seven days a week. Sundays have become just another day to make a dollar or to catch up on work that couldn't be done the other six days. It is a sad time we are living in and there isn't much we can do about it. Refuse to work and risk being fired. Where does that leave your family? The only advice I can give you is that you need to pray and ask God what his will is in your life. You should also pray to find out how you should raise your children to honor this commandment in a world that refuses to acknowledge they mean anything. 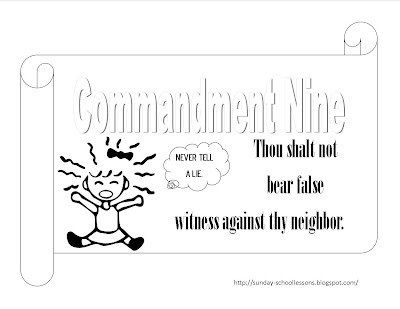 Find more 10 Commandments coloring pages and Sunday school lessons. As our 10 Commandment Sunday School lesson talked about, this commandment is one of the hardest to keep. Teach your Sunday School class early to 'Keep the Lord's name special' so they will never use his name in vain. A great song to help teach this is the old Sunday School song O Be Careful Little Eyes. Sing this song several times during your 10 Commandment lessons to help reinforce God's word and his will for us. May God lead you to teach what He needs your kids to learn. Pray before each lesson and listen to His instruction. Often, when kids are around other children, they will say things that they might not say in front of family. As a Sunday school teacher, you need to stress to the children that when they are around others, it is more important than ever to keep God's name holy to set an example for others. 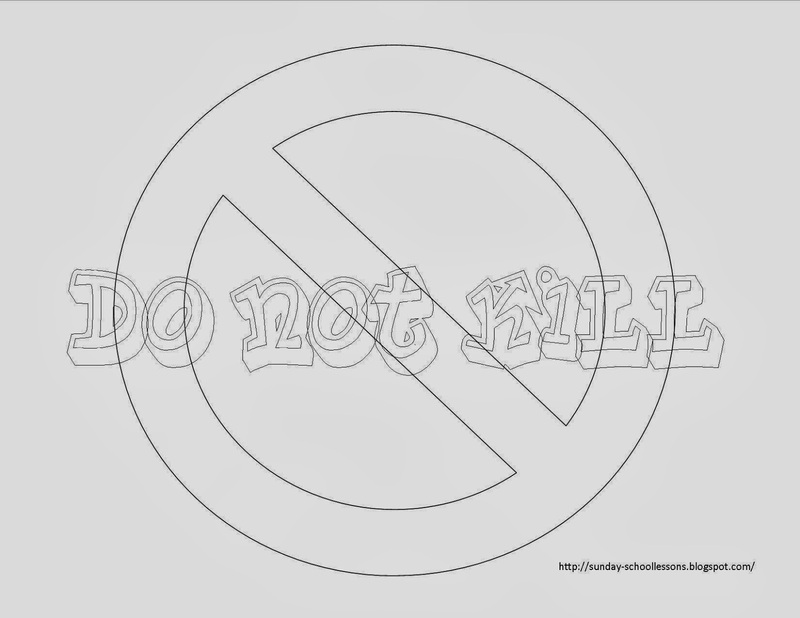 The coloring page below will help remind them that when they are at school they should strive to be Christ-like even when having a bad day. 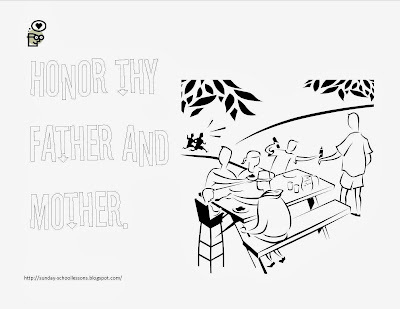 To help you teach the 10 Commandments, we wanted to make a coloring page for each one. 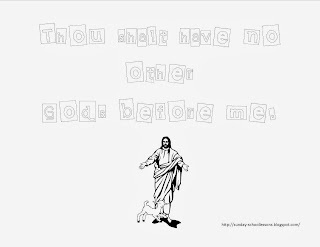 Below is Commandment Two coloring page (Get Commandment One coloring page). 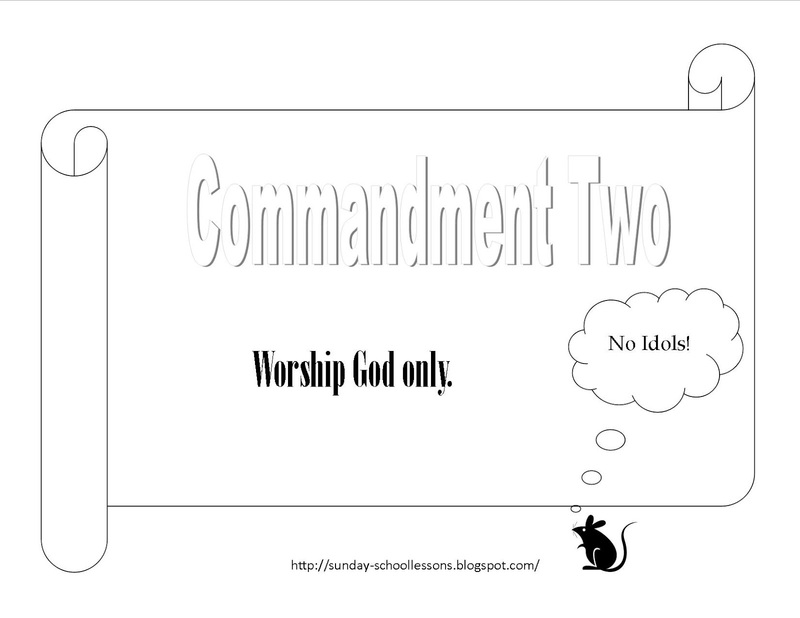 I added an entire Sunday School lesson for the 10 Commandments that can be used for any age children, as well. You can break it up into one commandment each week or five one week followed by five more then next. Of course, if you have older kids, you can teach all ten the same day. I hope you like what you find here at Sunday School Lessons of Plenty. There is nothing greater than accepting Christ and living for Christ ourselves, then teaching children to do the same. Here is the second part of our 10 Commandments Sunday School lessons. If you didn't read the first part of the lesson, go to 10 Commandments part one now. For those who are ready for the second part of the Sunday School lesson, keep reading. ** Have the kids move under the number five. Honor means more than just to mind and do what your parents say. It also means to love and respect them. Let the kids think about this for a minute. In today's world, it is hard to teach respect to children as many children do not know or are not taught what the meaning of respect truly is. Teach the kids that respecting God's property (the church and the church grounds) means we are to keep it clean, not stand on pews, no running, wiping shoes before entering the church, cleaning up our messes, and so on. NOTE: Some children have abusive parents/guardians. If this is the case in your class, be sure to elaborate on the fact that if parents are asking kids to do something wrong or anything that goes against God, then they need to look to their heavenly father for guidance. He will bless them for doing what is right in cases such as these. ** Have kids move to stand under the number six. Most kids will understand this one without elaborating on it. ** Have kids stand under the number seven. This is a good time to say, "If you are married, you are not to have a boyfriend or a girlfriend too. You are to have the one husband or wife that you chose to marry - that's it." ** Have the kids move to stand under the number eight. 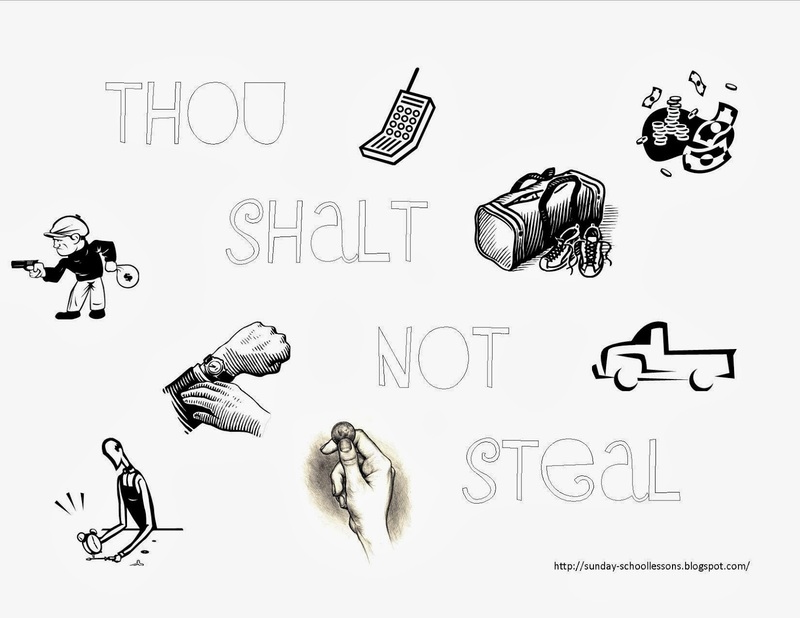 Stealing doesn't have to mean something big. It could be as small as someone's special rock, an eraser, a pencil, a crayon, or even a juice box. Just because someone isn't using the item or hasn't used it in days, doesn't mean it is alright to take it. Also, you should never take anything with the thought, "I'll give it back when I'm done." Many times, we forget to give it back and find it in our pocket or backpack later. Always ask before borrowing anything that way you won't 'accidentally' steal it. ** Have the kids move under the number nine. Plain and simple - NEVER tell a lie. It is better to tell the truth and get into trouble than to lie and go against God. ** Have the kids stand under the number ten. Do not be jealous of what others have. This is a simple way to put commandment number 10. You can find the exact wording in Exodus 20:17 KJV. Being jealous of the things other people have is a big no-no. We often find ourselves wanting the latest toy or phone that a friend has, but God gives us what we need. Jealousy can make us do things we normally wouldn't do including lying to get what we want or even stealing. Never be jealous of what others have. We should pray that God will give us what we need instead. To read more about the 10 Commandments visit our website Christian Magazine Today. Just standing in front of your Sunday School class talking about the 10 Commandments may be fine for older kids or adults, but for younger kids, you'll have to be a bit more creative. For this Sunday School lesson, we're going to be more interactive with the kids to get them moving and learning at the same time. Before class starts, write the numbers 1-10 on several sheets of paper. The paper only needs to be big enough for the kids to see well - about 3" x 3" or so works great. You'll also need tape to hang them on the wall or you can just lay them down on seats or the floor. You'll see what I mean in a minute. We've played this both ways and both way are fun and the kids learn fast! If you want to get straight to this part of the Sunday School lesson, skip down the page to the heading "Interactive Part of the Sunday School Lesson". Like this Inspirational Facebook page to motivate you each day! You may want to begin the class by taking prayer requests. Often kids will ask prayer for other kids at school. Sometimes you may be able to use those prayer requests as examples. 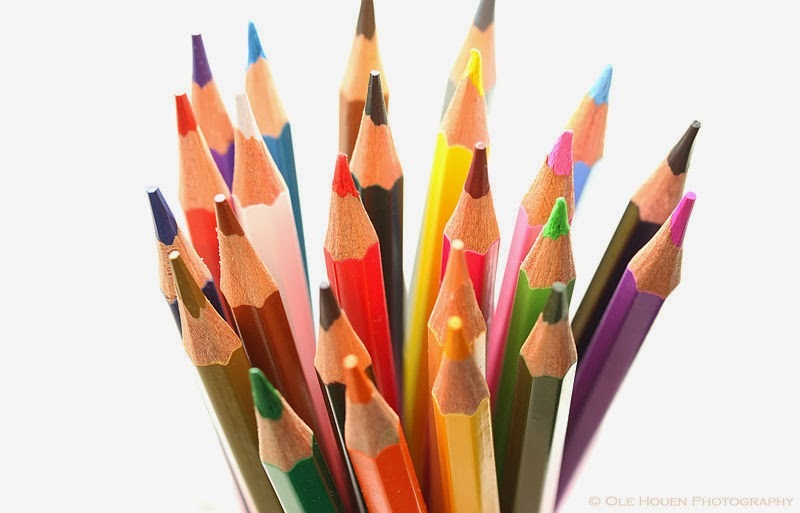 For instance, in our Sunday School class, kids will ask prayer for a child at school who often lies or takes other kids pencils or erasers. 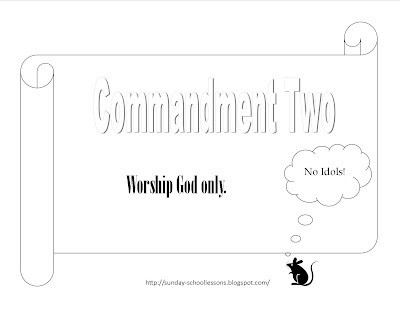 Both are good examples of two commandments (lying and stealing). If no child brings these things up, you can begin with asking the questions, "Have you ever told a lie?" or "Have you ever took something that didn't belong to you?" or "Do you know someone who does these things?" Did you know that God has given us 10 Commandments we are to live by? A commandment is a rule that God expects us to follow. Do you know any of the 10 Commandments? Wait for kids to answer, then continue. How many of you know who Moses was? He was the baby that his mother put inside the basket in the river to keep him safe. (If you've not told the story of Moses yet, just skip this part). When Moses grew up, God gave him a special job to do. His job was to lead God's people to a new land. Along the way, God gave Moses the 10 Commandments on top of a mountain. The mountain was called Mount Sinai. We can find the 10 Commandments in the bible in the book of Exodus chapter 20. Let's turn there now. Wait for kids to turn to this chapter in their bibles. If children are too little, just turn to the page in your bible and let the kids see. You can either read the verses word for word, or follow along with the interactive lesson below. Remember the part above where you were to write down the numbers 1-10 on a piece of paper and hang them on the wall or lay them on the floor? This is where they come into the story. Thou shalt have no other God's before me. This means that there is only one God - the one true God. We are to put him first above anything else. ** Let the kids move under the number two. This means you are not to make an idol out of wood, god, metal, or anything else and bow down to it. God is the only God who is real. No idol that is made by a person can help you can it? The walls are made of wood, can it answer your prayers? No. Someone made earrings and necklaces out of gold. Can they help you? Of course not! ** Let the kids move to stand under the number three. Do not take the name of the Lord thy God in vain (or, for smaller kids - Keep the Lord's name special). This means we are only to use the name of the Lord God or Jesus Christ in a nice way. We can use it to tell people about him, or we can read about him, or we can talk to him, but we are NEVER EVER suppose to use his name carelessly. For example, we are not to say, "Oh my, G _ _." When we use God's name in this manner, we are misusing it and breaking commandment number three. ** Have the kids move to stand under the number four. 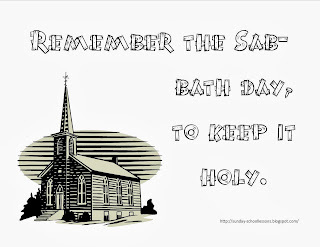 Remember the sabbath day to keep it holy (or, for smaller kids - Keep the Lord's day special). The bible tells us that we are to rest on the sabbath day. 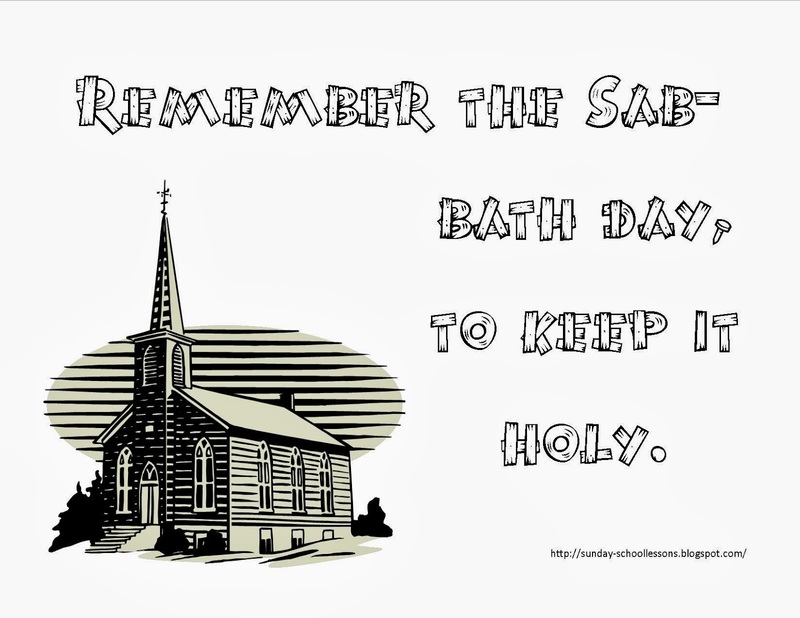 The sabbath day is the Lord's day, the day we take time to worship God, normally Sunday. 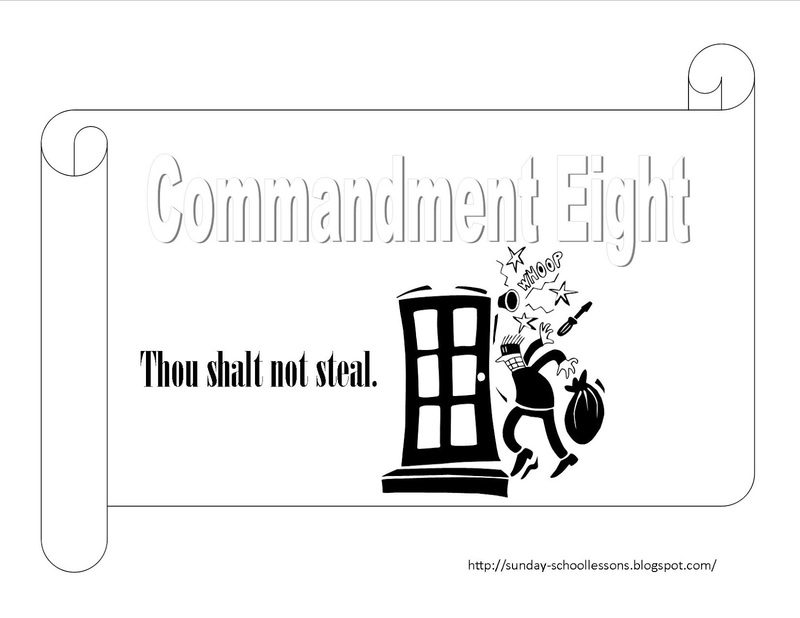 Most adults don't know the 10 Commandments, so how can we expect kids to know them? The truth is several of the 10 Commandments are so simple to learn, most Sunday School teachers don't teach them because they think the kids already know them, but do they? Sit down right now with a pencil and paper and write the 10 Commandments. Could you do it? Or if you did, were they in order? The 10 Commandments have a purpose for being in the order they are in, but that is a whole different Sunday School lesson we won't get into right now. 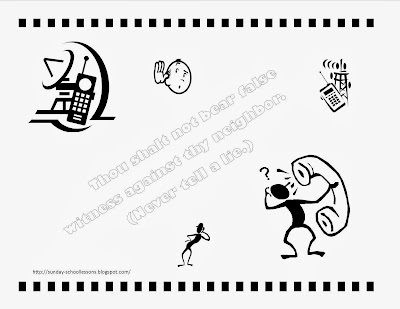 Below is Commandment One for you to print out. You can use this several different ways. First, you can let the kids color the page, cut it out and take it home. You can let the kids color one sheet together and hang it on the wall. Or, you can already have the sheet colored before class and play a Sunday School game with it. Whatever you choose, remember don't assume your Sunday School class knows anything. It's better to teach something they already know again than to not teach them at all. Here is another option for you to print, if you'd like.